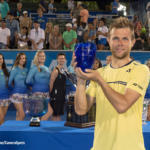 DELRAY BEACH – Friday night’s opening rounds of the ATP Champions Tour featured two vastly different story lines. James Blake, representing Team USA and playing in his first ATP Champions Tour event, came from behind to win in a tiebreaker, while Team International’s Goran Ivanisevic won handily, reversing his fortunes from last year’s first round. In the 2015 opener, Blake defeated Mark Philippoussis of Australia 6-7, 6-3, 10-8 but Team USA’s lead was quickly erased when Ivanisevic defeated Brad Gilbert 6-2, 6-4 in the nightcap. The format for the Champions matches Team USA (Blake, Gilbert and Justin Gimelstob) against Team International (Philippoussis, Ivanisevic and Mikael Pernfors) in nine round-robin matches spanning three days, with each match counting a point. 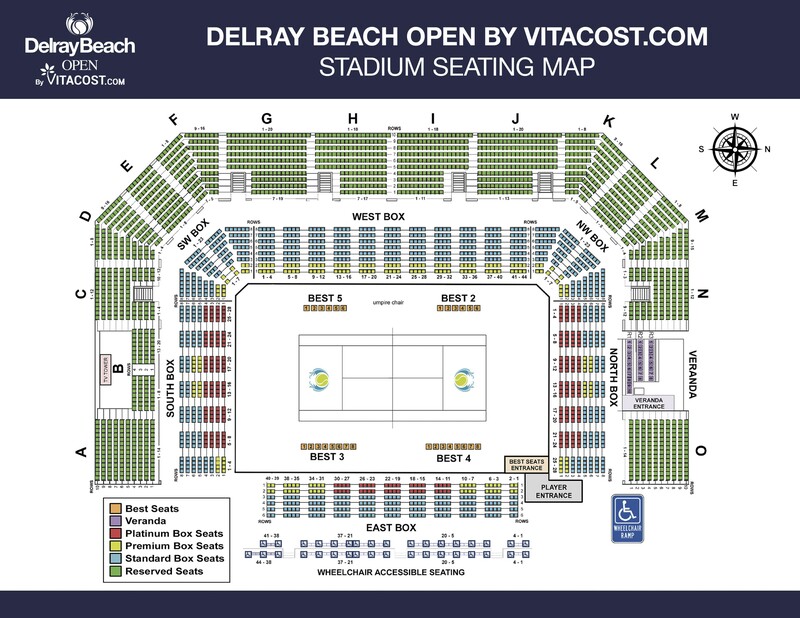 Though Blake was playing in his this event for the first time, he is no stranger to the Delray Beach Open, having reached the finals of the 2007 and 2008 ATP World Tour events. The Tampa resident’s debut was not only being watch by fans, but also his two-and-a-half year-old daughter Riley. After both players claimed a set win, Blake emerged victorious in the tiebreaker, 10-8. “Mark still serves great, he still serves as good as just about any of the guys on Tour so that was great to play against, ” said Blake, who reached No. 4 in the world in his prime. In the second match of the evening, Team USA’s Brad Gilbert couldn’t close the 10-year gap on a younger Ivanisevic. 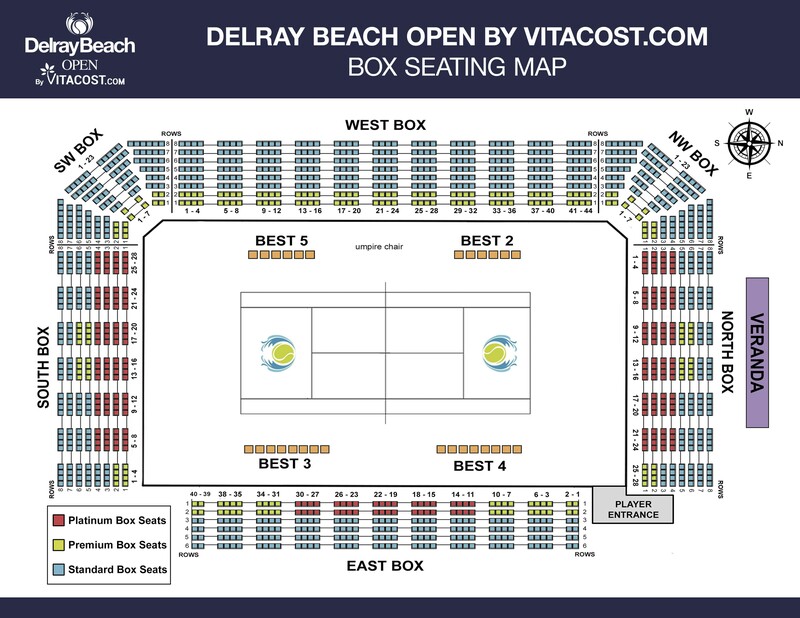 Ivanisevic returned this year for his second consecutive ATP Champions Tour event in Delray Beach. “It’s great, I had so much fun last year and I had a lot of fun tonight,” said Ivanisevic. Also representing Team USA is Gimelstob, who begins play tomorrow with two matches, his first at noon against Philippoussis and in the evening vs Ivanisevic. Pernfors, a Vero Beach resident and Swede who is playing in this event for the fourth time, completes the Team International roster and, like Gimelstob, will play twice tomorrow, facing off against Gilbert in the afternoon and Blake in the evening.